However, what we have today almost confirms that the device will at least be launching in India. The notched X6 was spotted on the support page of Nokia India's official website. Nokia X6 was launched in China last month but it generated hype in the global market as well. Hopes got higher when the phone was spotted at the global website of the company. However, what we have today almost confirms that the device will at least be launching in India. The notched X6 was spotted on the support page of Nokia India's official website. The phone was not leaked unintentionally either. The support page mentions the SAR value of the device. Other than the SAR value, there's hardly anything on the availability or pricing of the device in India. However, its appearance on the website could mean that the company might launch it in coming weeks. The Nokia X6 is the company's first take on smartphone notch and the specifications point toward an device that could finally bring Nokia back on the map in India. Xiaomi Redmi Note 5 Pro that currently rules the roost in the mid-range segment might also have some competition to look forward to. The phone has so far been very popular in China, the only market where it is available right now. A recent update also says the phone will feature the ability to hide the notch, which will be welcomed by those who oppose this latest design trend among smartphones. This feature will also add to the global appeal of the device. A while back, Nokia CPO Juho Sarvikas held a Twitter poll where he asked people if the device should be brought to markets other than China. The poll results clearly showed the people's want for the phone to reach global markets and the CPO promised the device would hit global markets in the upcoming months or weeks. Now it has been confirmed that the device would indeed reach global markets soon. Latest updates also confirm that details, features and specifications of the Nokia 5.1 Plus have also been leaked on TENAA certification site. There is a possibility that the Nokia X6 and the Nokia 5.1 Plus could be launched together. 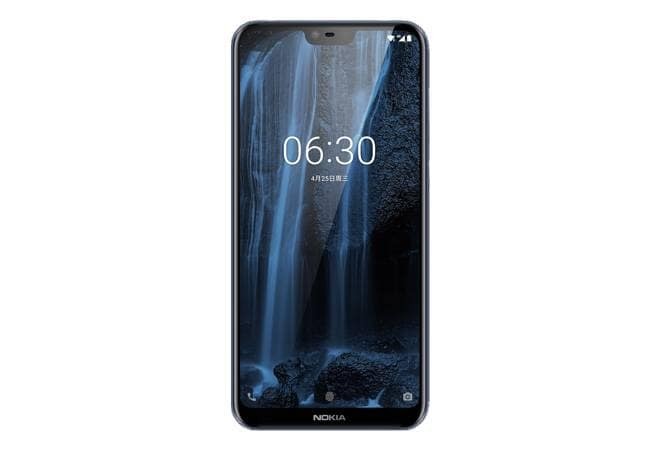 The Nokia X6 features a 5.8-inch (2280 x 1080 pixels) display and the phone is powered by a 1.8GHz Octa-Core Snapdragon 636 processor. It comes in three storage options - 3GB, 4GB and 6GB RAM with 32GB and 64GB internal storage options. The device features a dual camera setup with one 16megapixel unit and the other is a 5megapixel module. The front facing snapper comes with a 16megapixel sensor.